He would have been 14 last Sunday, 17th of August. And although it has now been two and a half years since he left us and I am now getting used to living a new normal, I still can't help but be emotional in times like this. And times like this means, twice a year- on his birthday and his angelversary. And in between when I am thinking about him and missing him, which also sometimes means everyday. Ah, it's hard but life must go on. All I can do now is to live through my good memories with him. In the last two years, I have been doing stuff to make his birthday a K Lighter Day. I used to ask my family and friends to take part. However, last year I realized that asking them twice a year was a bit too much, so I chose January 28 as the official "Make today a K Lighter Day" instead. So I wanted last Sunday to be as normal as possible. I didn't really want to make a big fuss about it so I planned to stick with my Sunday routine and then basically just did a little something to remember Keith. As his favourite song "Lighters" by Eminem and Bruno Mars has been my alarm since he left, automatically it was the first thing I heard when I woke up and then I listened to the whole playlist of his favourite songs. Since Keith left, I have always gone to church with Meow (his favourite toy) to light a candle. But this time, I decided to just light a blue candle at home and then I said a little prayer. This year has been different so I thought I'd break the tradition and do something else. As I said earlier, I wanted the day to be as normal as possible so I carried on with my Sunday routine, one of which a run in Hyde Park with my Vascular Fitness Club. And I was touched when my friends wore blue in Keith's memory. Thanks to one of my best friends Katie for asking them to wear blue. After the run, I went straight to The First Floor in Notting Hill to have Sunday Roast with Trish. My first Sunday Roast in years. This was my way of celebrating Keith's birthday. Back home in the Philippines, his friends had lunch at home. It makes me happy that his friends never fail to go to our house on his birthday and his angelversary. No matter how simple the day was, it was definitely a K Lighter Day. Happy Birthday, Keith. I am sure you had so much fun with the other angels in heaven. Mommy loves you very much. You are missed every single day. You will forever be remembered. Sometimes I wish I can lend my strength to people so they can surpass every life's hurdle that's thrown at them. I am saying this because as far as I know, I have been through almost, if not every trial that life can bring to any individual. Believe it or not, from a painful loss to betrayal to financial challenges to rejection to slander to family issues to falling out with once important people in my life. So far I can't think of anything that I have not gone through. Luckily, I am gifted with enough strength to fight and never once did I think of giving up, because I know that everything is temporary and whatever I am or have been going through will have an end. I have always told myself, "this too shall pass". I just hope that there is a better way of reassuring some people that life is worth fighting for regardless of how much pain we have to go through. Sometimes you just have to look beyond the dark clouds. As they say, there is a silver lining at the end of it all. Another precious life lost. 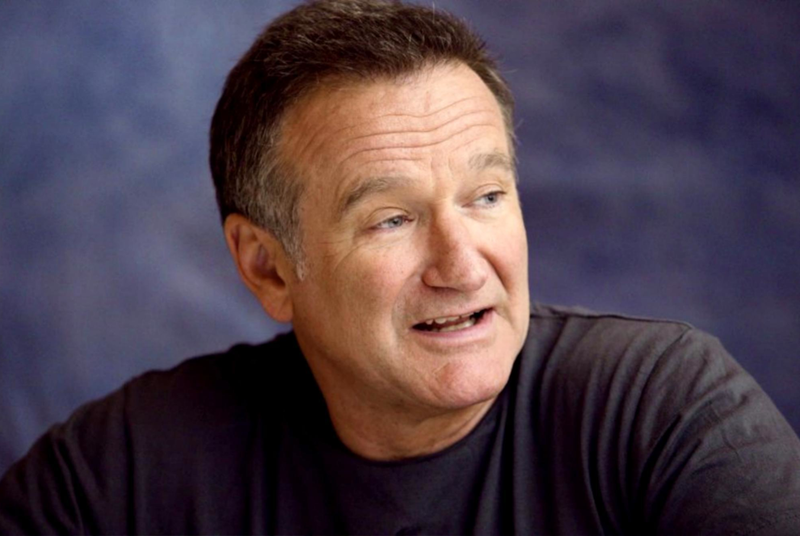 Rest in peace, Robin. Thank you for making us laugh and cry at the same time.